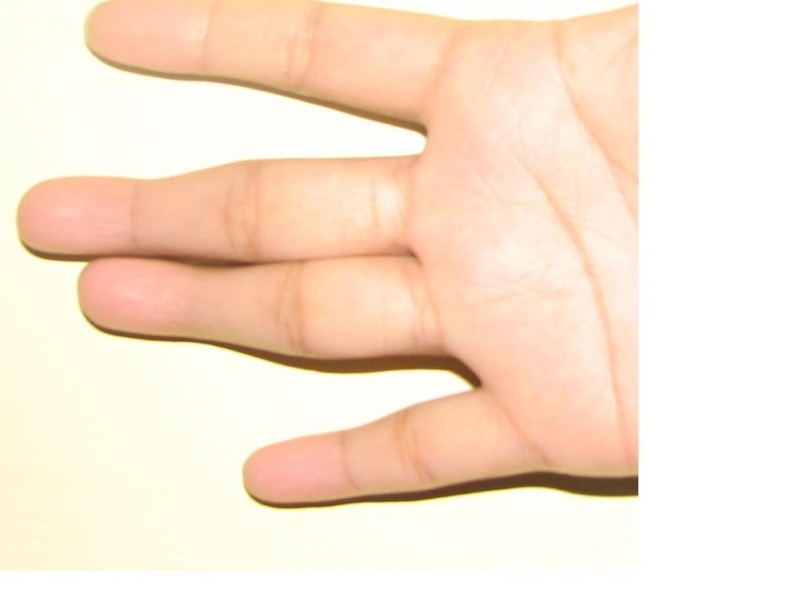 What does the missing crease between 1st and 2nd phalange on Apollo finger indicate? interesting picture Kiran! I have never seen this crease missing before. (tho it looks like a faint crease is visible?) I have no idea what it indicates. I have been interested in this subject of extra/missing creases for many years. 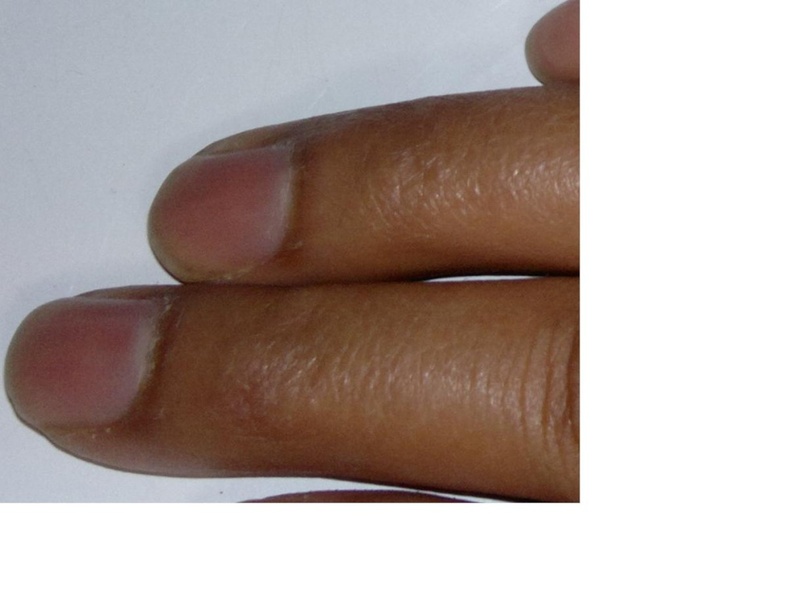 I get emails about it from people who have such characteristics in their hands, because it features on my website http://www.handanalysis.co.uk/handanalysis.htm . But so far, from the feedback I receive, I think it is almost impossible understand how these missing or extra creases affect people from a palmistry (or even a genetic) perspective! PS(edit) - when I say genetic, I meant - sometimes other people in the family have it, but not always. Good Morning Lynn!! You're up late/early! It is interesting! The ones I've seen in person that were missing the crease, were also missing the knuckle. I've also come across people missing the knuckle but the crease was there. Go figure! the knuckle( the bending of the 1st phalange's bone portion) is there. But, the creases seen on the knuckle( I am telling on the top portion, where we see the nails) isn't there at this joint. As much as I know - this person is very good in dressing and keeping things clean. But, not so great appreciation for beauty or display nature( that of a apollo finger) etc. 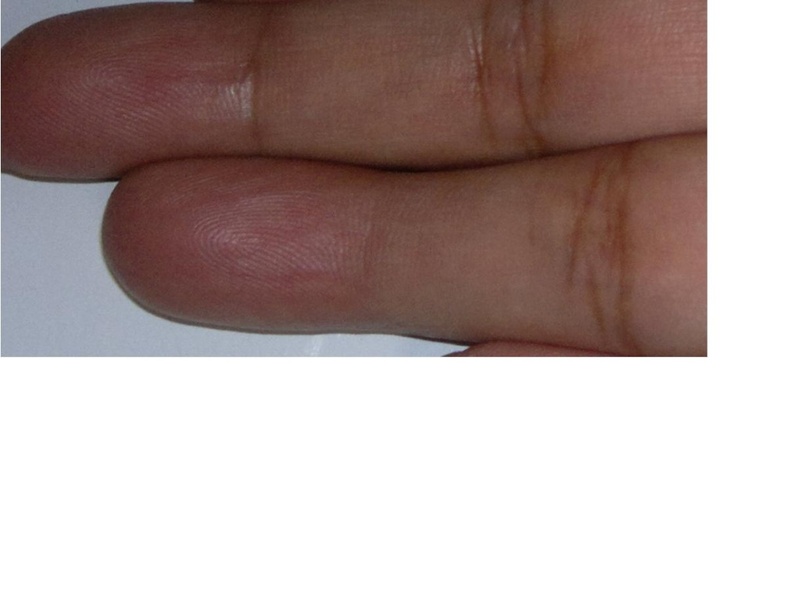 Are you able to get a clearer photo of this section of the finger, enough to see the skin texture? It's hard to imagine that the finger bends and there is no crease. Does the knuckle function? Can you see that: The creases on the knuckle aren't there( I am telling on the top portion, where we see the nails). But, as such the knuckle can be identified. Thanks Kiran!! It is interesting! I wonder if when he makes a fist if this finger actually curls or bends at this knuckle. The joint certainly looks missing except for the slightest markings.